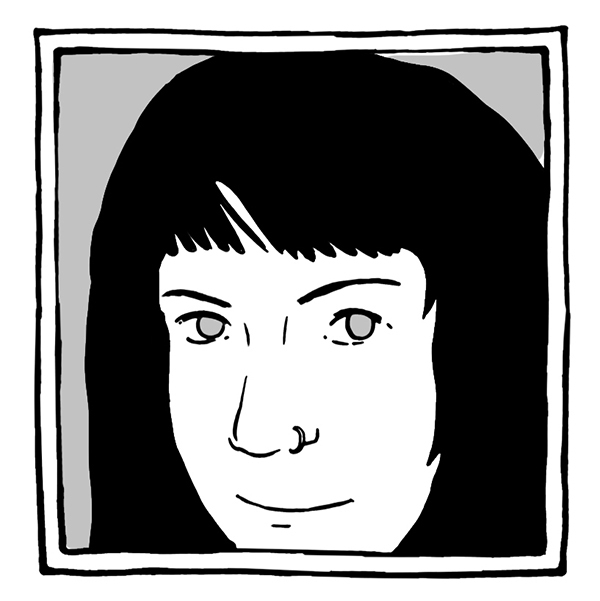 Sarah is a prolific comics artist, author, illustrator and designer. She won a Xeric Award and a Stumptown Trophy for Outstanding Debut for her first graphic novel, The Complete Ouija Interviews, and she is probably best known for “I Think You’re Sauceome,” an autobiographical webcomic about food, health, and self-image. Her work has appeared in various publications, including Saveur magazine, Womanthology, and Truth-Out.org. You can see a short film about Sarah behind this link. Sarah's second graphic novel, Shuteye: Six Tales of Dreams and Dreamers, was funded with a successful Kickstarter campaign and released in early 2012. In her spare time, Sarah plays the accordion, and also video games. She lives in Logan Square, Chicago, with two talkative cats and a boy named Niles.